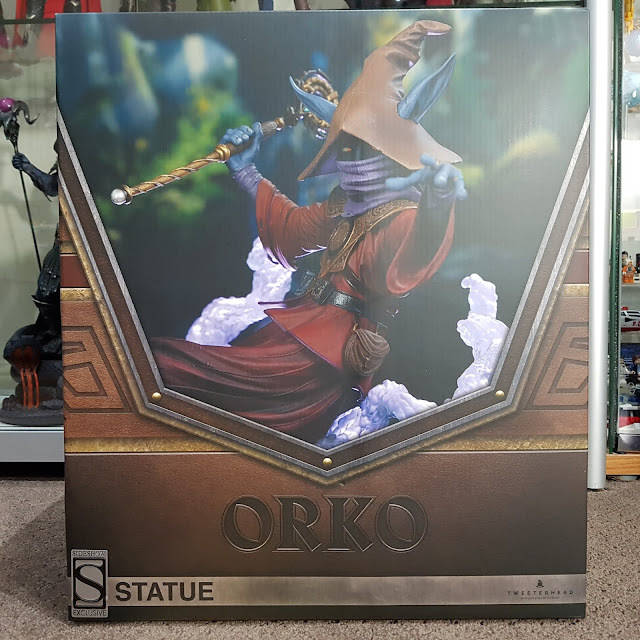 Sideshow have not announced any further Masters of the Universe statues, so this new Orko may well be the last in their nice but brief foray into this franchise. And what a shame that would be, since this aesthetic style is great for those holding nostalgia for the original cartoon characters but wanting something a bit more modern in their display cabinet. 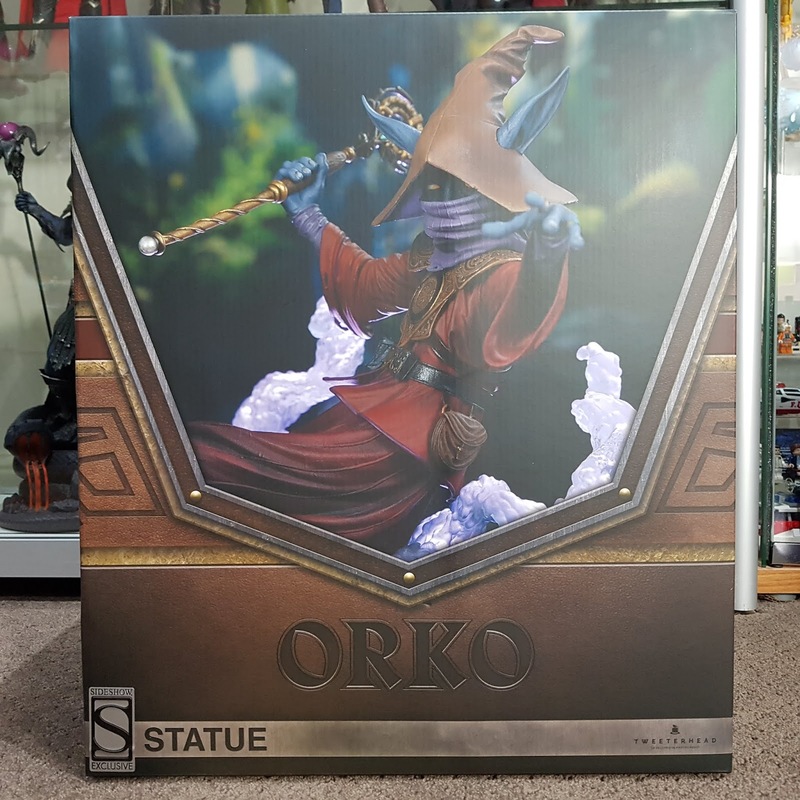 Packaging is simiar to the previous releases, and everything is packed nicely in the foam as you'd expect for statues in this scale. However, I'm not sure why the shipping cost from the USA is so expensive for this statue. It was actually more than the Evil-Lyn statue which I think is larger and heavier. 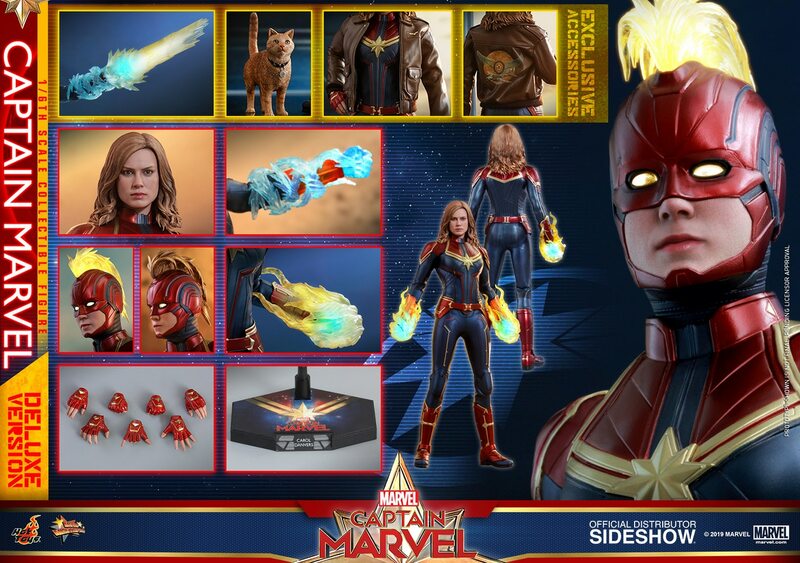 That extra shipping cost and the 10% GST on top of everything put a dampener on that since I ordered from Sideshow to get the exclusive arm holding his magic book. The base is nicely done in a similar style and paint app to He-Man. The sculpted detail and paint shading is done well, but it would've been nice if those rings were made of metal to give that extra premium feel to the base. The base feels pretty solid and doesn't feel too hollow. The transluscent plastic for the smoke effect is also quite nicely done, and the gradual change in colour has a nice effect. The main body of the statue connects to that smoke effect via a fairly strong magnetic peg on the lower back. The sculpting of the red gown has a nice flowing effect, and the various shades of red and black wash give it a realistic colourway. The detailing in the chest plate and belt are nicely done, with sharp paint application too. The standard right arm comes holding his staff. It looks nice being held the way it is to balance out the statue's pose. This is unlike the book which is held too close (but more on that later). The head sculpt is also pretty nice. I wonder if some mixed media in the cowl would've been a nice difference, but getting those folds consistently made would've been tough. The ears sticking out through the hat is a style not every fan will like, and I probably would've preferred just the standard cartoon style. But this is a difference that is still nicely done that fits in with the overall aesthetic of the series. The exclusive comes with the swap out arm holding his magic book. The written detail on the two visible pages is actually quite intricate and is very realistically done. The only fault I have with the swap out arm is that the mold was changed in production from the prototype! The prototype shows the arm being held lower, similar to the staff holding arm, so that the book is held further away from the body. But now they have the arm held higher and the pages of the book barely miss his right ear. The balanced look with the book held lower is much better. I contacted Sideshow about the difference in sculpt, and they said it was a production change that was made. No reason was given for the change, and they just offered a full refund if I didn't like it. I'll keep it, but it's a shame such a strange change in sculpt was made that negatively affected the way the statue looks on display. The rear of the statue has some nice detailing in that chest/back plate. The sculpting and paint details on the eagle is nicely done. Overall, most things fit well and seamlessly on the statue to give it a nice dynamic style next to the other characters. Here you can see some of the detail in the book. The sculpting and paint app on the hat is decent, but I would've preferred a straight red hat with no ears sticking out. Now that would've been a nice exclusive swap out accessory! Displayed with the others, the current series of MOTU statues do look fantastic. The consistent style really stands out in the collection, and is a great mix of nostalgic details and modern twists. I really do hope that Sideshow and Tweeterhead continue this series and announce more characters in 2019. It would be a complete shame if they decided to stop now when the original concept art print had so many awesome characters to make!